What we love in our work is not just the time we spend designing a logo that simply looks nice. We love understanding different industries, verticals, the human stories in them, their audiences, market challenges and more. This is what drives us; the feeling that our designs aren’t just something that look good, but also stand for something more and have a story to tell. Till date, most of the clients who come to us for branding/logo design have a variation of this statement: “We love the design you did for Auto Raja, we want to work with you”. While any appreciation of our work gives us immense happiness, Auto Raja is very special to us because that is one of the first logos that we conceptualized and designed at Productive Solutions. 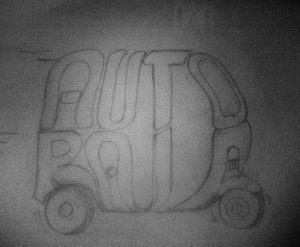 Sadly, Auto Raja isn’t around anymore but what they stood for will always be. I came across this company called ‘Auto Raja’ in April, 2013, around 6 months before I would officially start my own firm ‘Productive Solutions’. 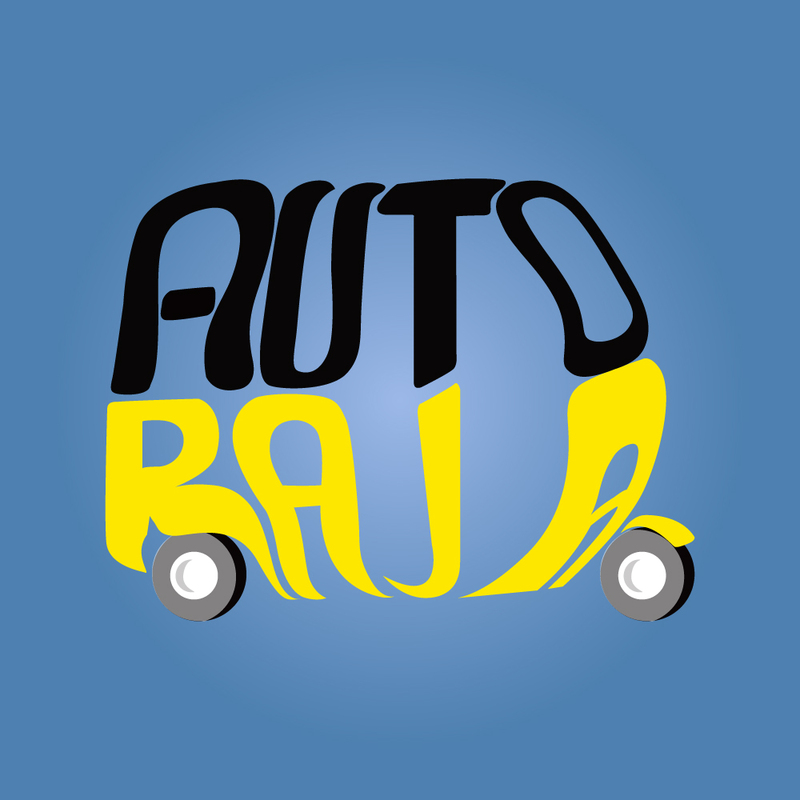 Auto Raja was founded in that year by Anubhav Agarwal and Aishwarya Raman. 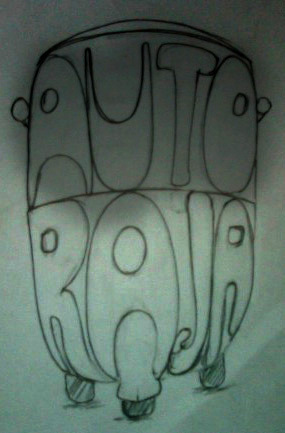 I was thoroughly intrigued by what the folks at Auto Raja were trying to do. In Chennai, catching an Auto Rickshaw and not be fleeced required some special haggling skills. More often than not, these drivers are rash in driving and rude in behaviour. There is no better way to describe the market than in the words of the founders, “It cannot be denied either that most of the city loves to dislike drivers; even those that are on a short visit to the city are warned of the all-true fleecing nature of drivers. …Refusals to take you to destinations of your choice constitute more fact than fiction. What’s worse? – those tamper-proof electronic meters that stare at you, almost mockingly, throughout your ruddy auto-rickshaw ride! The long minutes of bargaining, of putting up with the driver’s odd and at times rude behaviour, present all too frustrating a circumstance to care for auto-rickshaws or drivers anymore. If only the fare meters worked…If only things were different…”. Auto Raja was trying to break this perception of the market and create a healthy eco-system. They were planning to introduce ‘Call Autos’, the equivalent of radio taxis/call taxis like Fast Track. This was not a random decision they made. I mailed them out of the blue saying I am a student of marketing and advertising and I would love to get associated with them and see if I can be of help with something. I heard back from them 2 months later, we spoke on the phone, went for a meeting with them and I loved the social side of Auto Raja. They went into the market, spoke to 100s of drivers, went to their residence, understood the pains of being an auto rickshaw driver. They didn’t just want to create a great economical and hassle-free model for customers, but also improve the overall lifestyle of the auto drivers and their families. Most Auto Rickshaws are bought on loans. Banks are not friendly towards giving loans to this unorganized market and hence these drivers end up with Loan Sharks who not only charge a bomb in the name of interest but also hold all the original documents of the Auto Rickshaw and sometimes, even the driving license of these poor drivers. This is the reason you would find the Chennai City Traffic Police stopping Auto Rickshaws randomly during month ends, because they know for sure they can get these people to pay an amount in black to avoid facing legal issues about the lack of required documents while driving. This also resulted in a disturbing livelihood for the drivers’ families. Living in the slums without access to clean drinking water and the habit of alcoholism is a very common scenario. After multiple discussions, we were assigned the branding of Auto Raja, pushing aside the financial constraints for a social organization to the backseat and focus on what path breaking work we could do for something this wonderful. For a massive market breaking effort like this, we had to come up with a logo that is as important for the drivers, as it is for the customers. We wanted to create something that both the parties will remember fondly. The moment we think of Auto Rickshaws, we think of the iconic black and yellow autos that zip through the city. ‘Auto Raja’ (The King of Auto) forming the auto itself, a sense of pride for the drivers. For the customers in Chennai, the very mention of Auto would obviously bring the iconic Black and Yellow auto visual to the top of the mind. We sketched out a few versions, front and back view of the auto done in a typographic manner, refined it further sitting with our illustration guy. We also considered having a mascot and did away with the idea, as we wanted the logo to be gender neutral. Below are the first round of rough sketches we came up with. We presented the ideas and sketches with the client and they loved this thought process as well and they felt all the stakeholders involved would relate well to it. We furhter refined the sketches to the below version for approval, subject to further revision during digitization. This was a rare case of instant approvals for those familiar with the design process. We proceeded to the digitization and the design below still brings us business and we can’t ask for anything better to come from a logo that also does justice to the brand. We were heartened to hear that the drivers, in particular, loved the logo and couldn’t wait to sport it. Neither could we. Sadly though, Auto Raja had to shut shops in 2015. At the time of winding up, the startup had a fleet size of over 2000 autos operating only in Chennai. It had plans to raise about $3 Mn (INR 20 Cr) from investors. However, the deal did not materialise. AutoRaja had received a seed fund of $25K (INR 16.5 Lakh) from the Shell Foundation. After the closure, the founders were offered a position by Ola to bring in their market expertise and knowledge to help Ola grow in the same sector. P.S: The founders gave us a very unusual and pleasant surprise when they received their first round of investment by transferring an additional amount for the logo design, almost a year after it was delivered to them because they felt the logo deserved more. Auto Raja and the team will always hold a special place in our hearts. 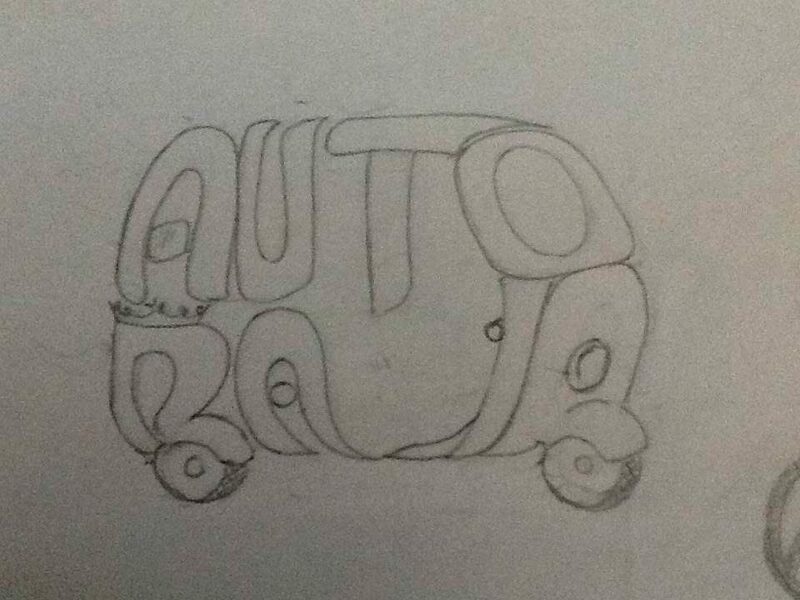 We hope, that sometime in the future Auto Raja can make a return and we can see our logo on a fleet of autos. To see our entire Logo design portfolio, Click Here.